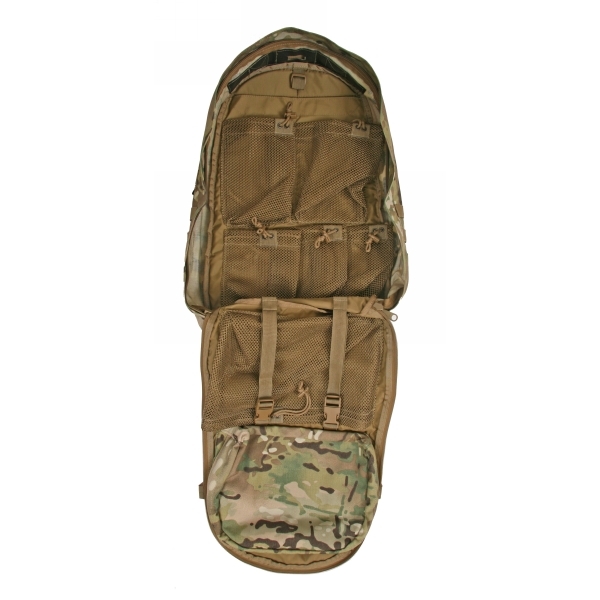 Our Trauma Pack is a medium sized frameless pack designed to meet the needs of the tactical medic or EMT. 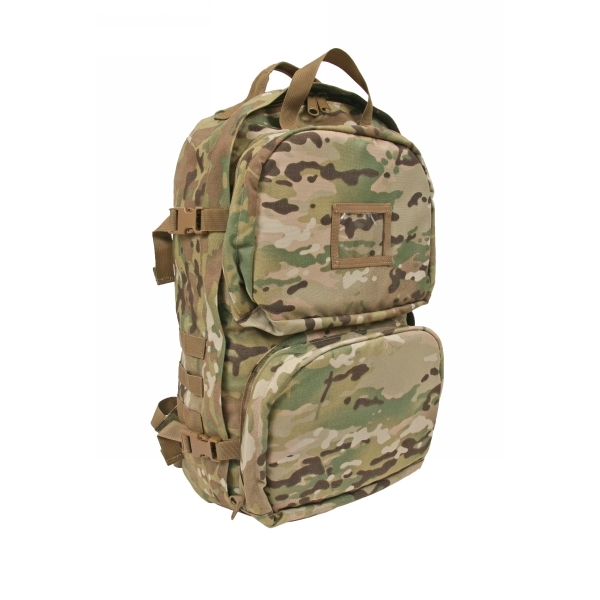 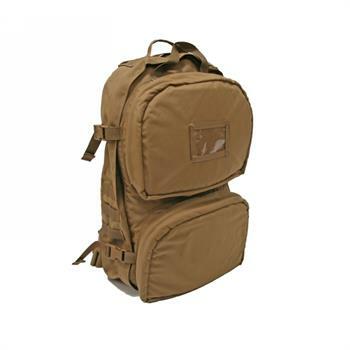 Constructed of 1000 Denier Cordura Nylon, this pack is large enough to carry needed medical supplies with enough compartments to keep them all organized. 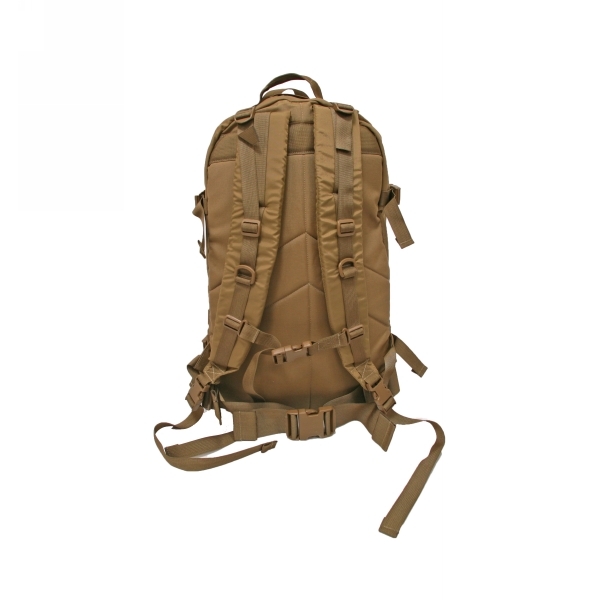 The main compartment opens with a heavy duty zipper and the front flap opens completely to allow full access to the contents of the bag. 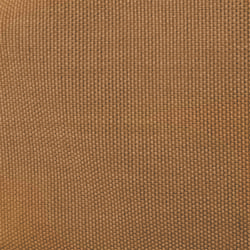 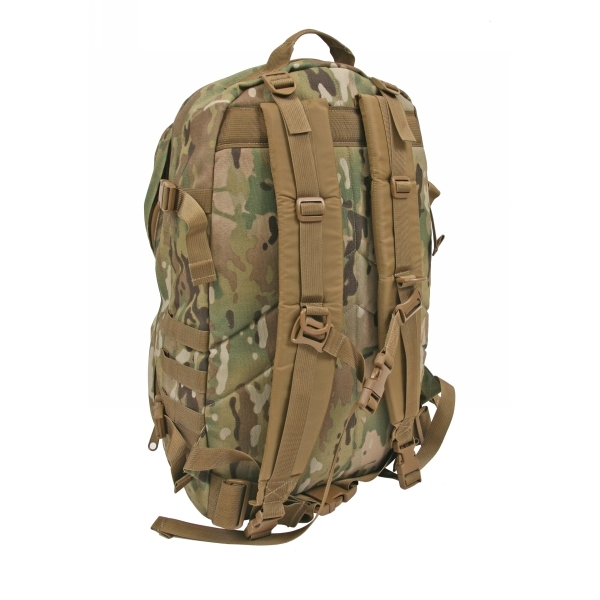 Inside the pack you will find one large, two medium and three small sized mesh pockets as well as a medium sized zippered compartment and hydration sleeve with concealed opening for hose routing. 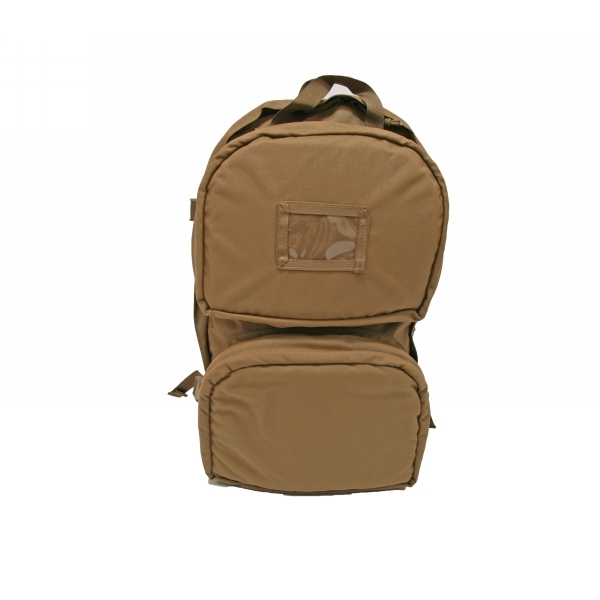 Outside the pack are two medium sized zippered compartments, both with internal mesh pockets and elastic loops for storage. 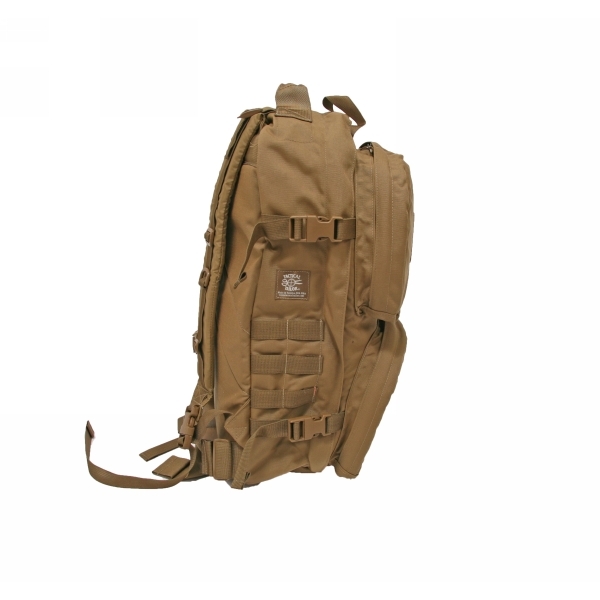 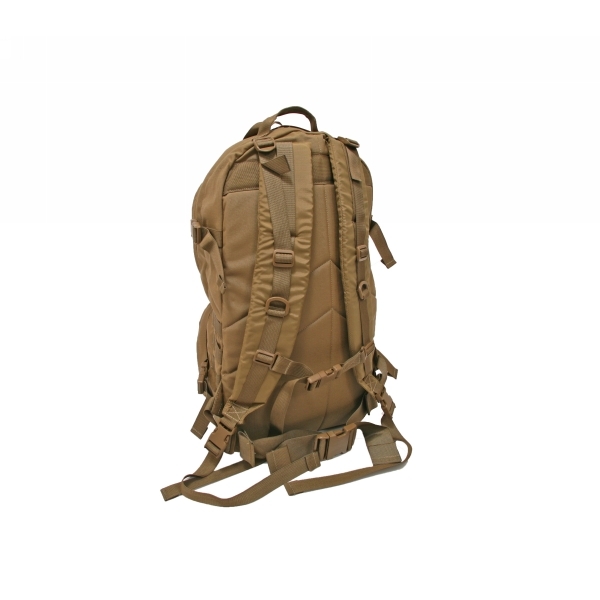 The pack features thick padded shoulder straps, adjustable sternum and waist straps, a carry handle and modular webbing on the sides to allow for attachment of additional modular gear. 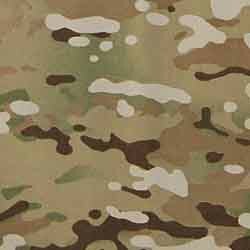 Available in Coyote Brown and MultiCam®.